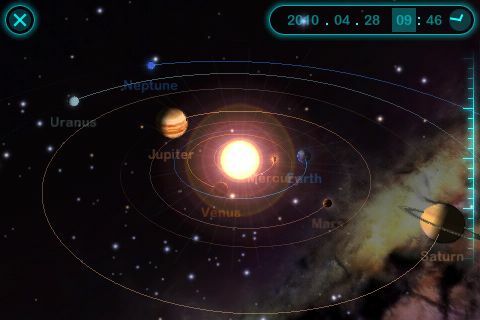 I have always been fascinated with the solar system and space. It may stem from me being a part-time geek and loving Star Wars when I was a kid. On my iPad I have a few Apps that are pretty good. SkySafari, NASA HD and the Solar System ebook. However, I had not downloaded anything space related recently. That was until yesterday. A colleague is going to be teaching astronomy next year and in the hope we buy some iPads I thought I would have a look at some Apps he could use in the classroom. I came across Solar Walk and I have to say it is awesome. Defiantly a great looking, engaging, informative App for the classroom. Because my current MacBook is a bit rubbish at the moment, I have used a video from the Gadget Show to give you an idea how amazing this App is. Luckily, I have just ordered a new MacBook Pro so my own video will follow soon. After reading this article, I am going to recommend others to read it as well, since I know they will enjoy it as much as I did. Whenever it arrives to the most recent gizmos, i would have to say that the very best thing to possess these days is an Apple iPad. This is genuinely cool and provides a lot of functionality. ipad is the best, i always buy the latest version of ipad since it is a really cool gadget. ..